Invicta FC strawweight queen Virna Jandiroba will make her UFC debut on April 27, taking on Carla Esparza at UFC Fort Lauderdale, so the promotion has decided to make the previously announced one-night strawweight tournament a run for the vacant title. The event takes place at the Memorial Hall in Kansas City on May 3. 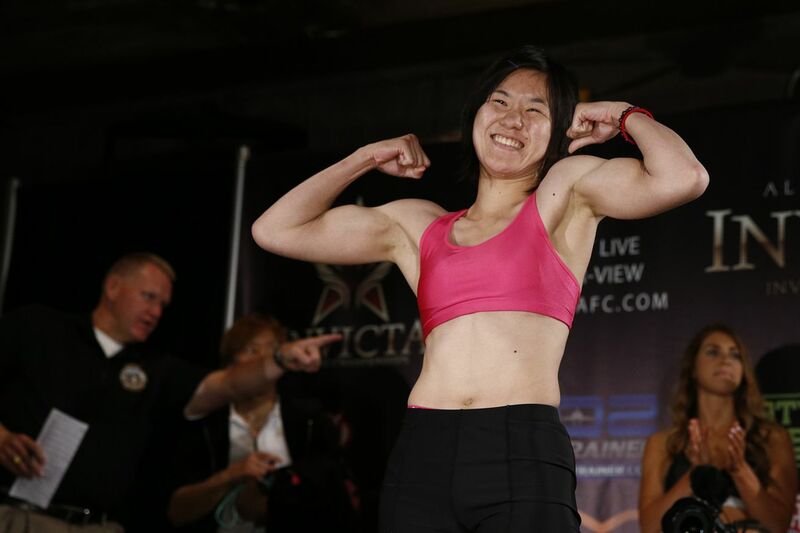 The company announced the quarterfinal bouts on Tuesday: Mizuki Inoue (13-5) vs. Sharon Jacobson (5-4), Janaisa Morandin (10-2) vs. Brianna Van Buren (5-2), Danielle Taylor (10-4) vs. Juliana Lima (9-5) and Kailin Curran (4-6) vs. Sunna Davidsdottir (3-0). According to the promotion, quarterfinals will be one-round fights, and the fighter that gets the fastest victory, will get to choose her opponent in the semifinal. Two reserve bouts have been added to the card, featuring Amber Brown vs. Manjit Kolekar and Alyssa Krahn vs. Itzel Esquivel. Both contests will also be one-round matches, but categorized as exhibition fights. The event will be co-headlined by a non-tournament bout between strawweights Kay Hansen and Magdalena Sormova, Invicta FC announced.